The Spiritual Formation Team of the Florida Conference of the United Methodist Church and the Upper Room welcomes you to browse our website featuring the Florida 5 Day Academy For Spiritual Formation. 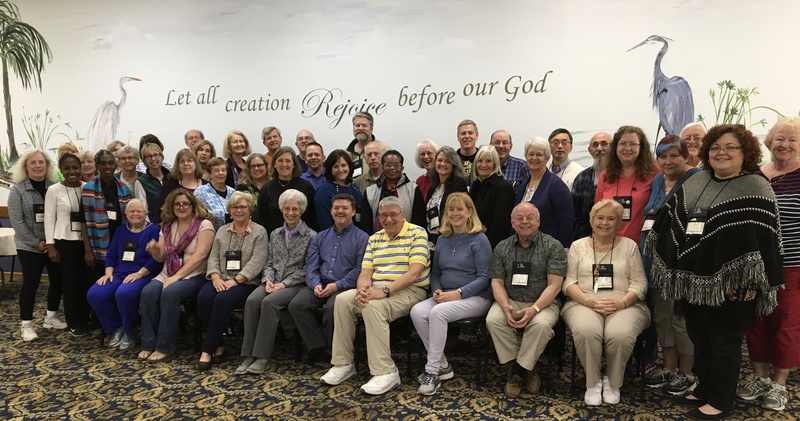 The Five Day Academy Team of the Florida Conference of the United Methodist Church and the Upper Room welcomes you to our website featuring the Florida Five-Day Academy For Spiritual Formation. Our first Five-Day Academy was held in March 2001. This year we just hosted our 18th annual academy on March 11-16, 2018, at the Life Enrichment Retreat Center in Fruitland Park, Florida. This Academy’s featured presenter was Rev. Marjorie Thompson and Rabbi David Horowitz. Now for even more news! We have the dates for next year’s 19th academy in 2019: March 10-15, 2019. Mark your calendars now! The faculty for 2019 will be Rev. Kathryn Damiano and Rev. Steve West. The theme will be A Journey of Life and Love Together. As we reflect on our life journey in the present and going forward, we keep these words close to the heart as we live life together and love one another. Community in the Academy setting offers sacred space to reflect on your own journey and the Word, share in a safe and confidential place, walk with others who drink from a deep wellspring of life-giving water and grow in intimacy with the Lord. a time for healing to continue.